The Swiss resort of Verbier has attracted many thousands of visitors to its high alpine slopes over the years. For the rich and famous it is one of the resorts at which to be seen, regulars include Peter Gabriel, the Danish Royal Family and Richard Branson – who opened a luxury ski chalet in Verbier a couple of years ago. Some of the world’s best skiers have also based themselves in Verbier because of its excellent, challenging skiing in Verbier. Certainly for advanced and good intermediate skiers, there is an abundance of great runs especially when it comes to off-piste and the semi-pisted routes or itinerary runs. With this in mind we’ve picked out a few of the most interesting that Verbier has to offer. This is a popular off-piste itinerary that can be reached after a short hike from the top of the Col de Gentianes gondola lift and for any powder enthusiast, carving a few turns down this legendary route is a must. The run is situated in a couloir, which has the advantage of offering a number of differing pitches to suit a variety of abilities of off piste skiers. It is strongly advised to avoid the right side of the couloirs during when snow levels may be lower because the glacier lip can get exposed. The exit to the run is found on the left side and it’s a good idea to keep the speed up because the run flattens out on the return to the Tortin lifts. Of course, when attempting a run like this it is important to take a guide and always be very aware of mountain conditions, as the potential for avalanches can be quite high. Skiing the backside or going back country – is something of a rite-of-passage for powder lovers. It’s said that there is a feeling of isolation when dropping off the back and the resort is left on the other side of the mountain. Backside Mt Fort should never be attempted without an experienced guide, because the safest route down is not entirely obvious upon first glance. There are several very steep and narrow sections on this run, so it definitely requires skiers who are willing to give it a go and take on some fairly hairy drop-ins. 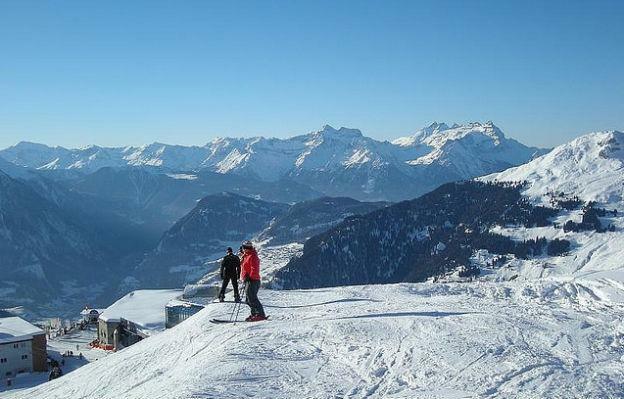 This is, of course, a skiing area as opposed to a single run – but it is excellent for intermediates. For some reason it is largely ignored, so offers less crowded pistes with the added bonus of generally better snow. There are a number of runs that have varying descent pitches meaning that the difficulty level can be upped (or lowered) as anyone sees fit. There are plenty more runs in this magnificent resort, these are just a few of our favourites – so get out there and explore!